On September 29, 2003, Times Property and the Guangdong Museum of Art founded the Guangdong Museum of Art Times Branch within the Times Rose Garden Community in 2005, during the Pearl River Delta d-lab Project as part of the 2nd Guangzhou Triennial, curator Hou Hanru invited Rem Koolhaas and Alan Fouraux to design a permanent space for the museum. The facility was completed in September 2010. Guangdong Times Museum was officially established, registered as a non-profit museum (non-enterprise) under the Guangdong Provincial Bureau of Civilian Affairs in October 2010, and opened to the public on December 31, 2010. Each step of the process from conception and design to implementation of the Guangdong Times Museum has reflected the unique social, economic and cultural environment of the Pearl River Delta Region, making a special example of case in the urbanization process of southern China. 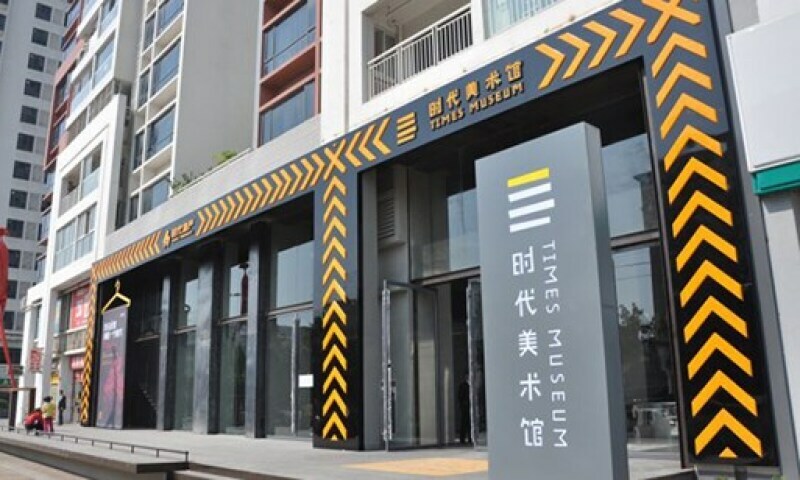 As a non-profit public art institution, Guangdong Times Museum follows the principle of academic independence, the museum has established itself as one of the most outstanding private art museums in China with a reputable international profile.